The 75-year-old former school teacher, whose European forebears arrived in the country in the 1860s, has spent a good part of his life as de facto custodian (kaitiaki) of the heritage of the region’s tangata whenua (people of the land). Parsons is regarded as the ‘go to’ man for Māori cultural research and has little tolerance for claims that don’t originate from a credible source. “Show me the evidence,” he says, if you suggest something that challenges his immense knowledge. He’ll sift through piles of reports, refer to the numerous whakapapa books he’s copied or been entrusted with by Māori elders, or point you to a specific minute book at the Māori Land Court in Hastings. The high esteem Parsons is held in by Māori is evidenced in the 20 or more reports he’s researched for Waitangi Tribunal claims, the books he’s written or contributed to, biographies at Te Ara website and ongoing consultation with Hawke’s Bay iwi and councils. He stands in the gap for those who for various reasons were not trained up or willing to adopt the role of kaitiaki of ancestral memories and tribal knowledge. He’s been put to the test on many occasions, including in defence of ‘landscapes of significance’, providing evidence for four Environment Court hearings when councils and developers have tried to push the boundaries. Parsons believes there’s been a general awakening to Māori cultural values after some hard challenges, including the theft of Pania of the Reef in October 2005 after she’d had 50 uninterrupted years on the Napier waterfront. That had a deep impact on a lot of people, including the model Mei Irihapiti Robin (Whaitiri), who turned 80 in February. Parson’s suggests Pania had to go through that process to arrive at a more rightful place in our regional psyche. The Ātea a Rangi Star Compass at Waitangi Reserve, which he consulted for, is another focal point for Māori history, with spin-offs already evident through the Regional Council tidying up the area, ecological restoration and new waterway that acts as a nursery for inanga (whitebait). It’s become a tourist attraction, a teaching tool for how Māori navigated by the stars. 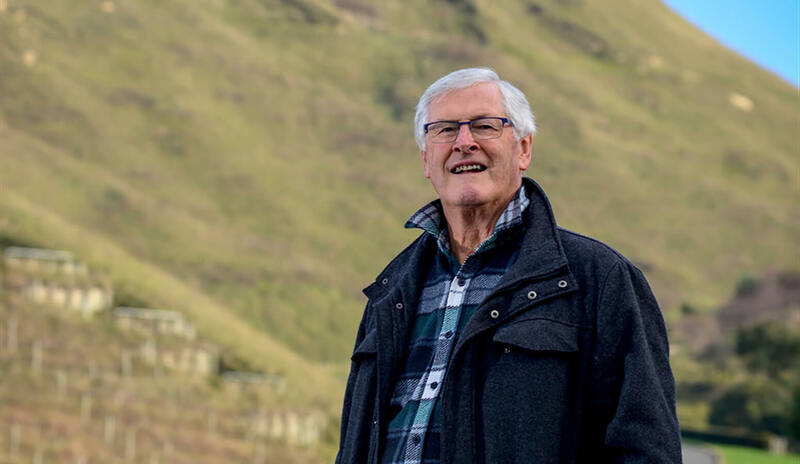 From the Star Compass, he says, you can identify several of the region’s outstanding landscapes on the rim around the Heretaunga Plains — “they’re like sentinels, when you see them you know where you are”. Parson’s journey builds on relationships established by his own maternal grandparents and older family members. His grandfather Leo Lopdell lived in Bay View, leased Māori land, had strong connections with that community and took his grandson with him from an early age to visit friends. One such friend was Bob Mokopuna Toki Cottrell, the kaumātua of Wharerangi marae, who later became an important mentor for Parsons. After attending teacher’s college, Parsons spent five years in Paris and London working for the Berlitz Language Schools teaching English as a foreign language, and then on to Italy to teach the staff of an infuential industrialist. He approached Hereworth School on his return to Hawke’s Bay and was hired by headmaster David Curtis from the first term of 1974. Important influencers during his five-year tenure included fellow teachers Lawrence (L.S.) Rickard, who published Tamihana – The Kingmaker in 1963 and the history of the Heretaunga School (pre-Hereworth), and Sid Grant, who wrote the book Waimarama in 1977. Both had been at Hereworth during the time of headmaster J.D.H. Buchanan (1936-1952), who started the Hawke’s Bay Historical Society and wrote the seminal book Māori History and Place Names of Hawke’s Bay, published posthumously in 1973 after D. R. Simmons compiled his extensive notes. “They told me Wednesdays were Buchanan’s Māori history day – after assembly he was not to be disturbed as he would be studying or going out on field trips,” says Parsons. His interest in local history was further piqued when student Graeme Wilson gave a talk about his great great grandmother Airini Donnelly – “the most prominent chieftainess” from the late 1800s, who was adopted by chief Renata Kawepo. Intrigued, he asked to meet Wilson’s mother Jacqui and a scholarly relationship resulted, with Parsons being gifted much of the family’s historical records. After his grandfather passed on, Parsons continued the friendship with kaumātua Bob Cottrell who, on being asked the origins of Wharerangi Native Reserve bordering the Parsons’ land, delved into his own grandfather’s trunk for the paperwork and whakapapa books. Today Parsons has numerous whakapapa books, mostly leading back to Kahungunu but also from those who lived in Hawke’s Bay prior to 1550. Cottrell became Parsons’ personal tutor in Māori history, introducing him to another respected historian, James (Jimmy) Waitaringa Mapu, who remained close until he died at age 91. There was talk of Parson’s heading to university for a degree in Māori history, but both men said, “you won’t learn there what you will learn from us”. Jimmy Mapu advised that if there is any doubt about genealogy in the whakapapa books he was collecting, the first allegiance must be with the tangata whenua where the books came from and if there’s no ready reference, “go back to the people where the story happened”. It is said that history is not set in concrete and that it can change, depending upon who is telling the story. We are tribal people and it is not surprising that Māori can often provide a host of different narratives about the same cultural events and icons. Patrick Parsons, local historian, has spent decades gathering the stories of our elders from recordings, diaries, private genealogy books, land court records and many other sources. He is an authority, a well of knowledge on all things pertaining to the interconnecting tribal makeup of the Ngāti Kahungunu tribes of the Napier Hastings area. A Patrick Parson document may not always align with or support a tribal point of view, but one can always be assured that it has been meticulously researched, well documented and rigorously referenced. Initially the records were kept in Palmerston North with Parsons heading there during school holidays and being drawn deeper and deeper into a world few Pākehā understood or had access to. When he began teaching at Hastings Boys’ High in 1980, the Māori Affairs Department relocated the local Minute Books to Hastings. Parsons and fellow teacher and friend Brian Morris, today head of Huia publishing, were regulars, transfixed by these ancient records. Among the determined local recorders of those minutes was Hawke’s Bay personality, surveyor and Native Land Court interpreter, J.T. Blake. Today Parsons is de facto custodian for half of Blake’s record books and personal archives. He’s been engaged in protracted discussions about how these and other unique historical treasures held by himself and others might be better archived for future generations. Today Parsons is still the most frequent user of the Minute Books, although he’s increasingly pointing others to those resources, including EIT students researching their own history. He’s also maintained his relationship with Brian Morris, a licensed Māori interpreter, collaborating on projects including translating old waiata, including Te Tahatu’s Oriori (song of chiefly ancestry), telling how he became a custodian of the Heretaunga Plains seven generations after Ngāti Kahungunu occupation. After years of being steeped in Māori history, in 1990 Parsons learned, without any prior warning, that he’d been nominated by the Wai 55 Ahuriri Inner Harbour claimants to research their Waitangi Tribunal case. While surprised, he was convinced no one else had the background to do this well. It was “time to jump waka”, so he handed in his notice at Hastings Boys’ High. For the next decade or so he was employed to research various local land claims and write reports for local councils on Māori spiritual values in relation to the land. In 1996 he was approached to write centennial history of Te Pohue School. He was reluctant; not having written a book before, but with a history committee and support systems found the process “worked like a well-oiled machine”. A short time later he was asked by the Rotary Club of Waipukurau to produce Waipukurau: the History of a Country Town, published in 1999. Another timely encounter came when he dropped in to see Matt Ford at Matapiro Station and he was informed of a meeting with local families including the Beamishes, Lowry’s and Russells, to produce a history of the area bounded by the Ngaruroro and Tutaekuri rivers, Fernhill and the Kaweka Ranges. As expected there was a reluctance to have any Māori history, so he offered to write the first two chapters. Although the first reaction was dismissive, Parsons persisted, urging a second read. Parsons was engaged to write a couple more chapters due to his passion for early colonial history, as he enjoyed rubbing shoulders with the descendants of early settlers. The result was West to the Annie – Renata Kawepo’s Hawke’s Bay Legacy, featuring 18 chapters by 13 writers, published in 2002. Parsons places much store in the 1996 report by Gavin Lister of the Isthmus Group, Outstanding Landscapes: Landscape Assessment of Hastings District, referring to it as “an enlightened document”. The report, prepared in response to the Resource Management Act and now embedded in the Hastings District Plan, singled out Te Mata Peak and Cape Kidnappers as the most important landscapes in the region. Parsons references it when he’s called on to provide evidence to counter arbitrary decisions that seek to overturn that protected status, as happened in the 2003 Cape Kidnappers hearings. US billionaire Julian Robertson wanted to build accommodation within 100 metres of the gannet colony nesting areas with a tunnel to an underground cliff face lookout called the Sunset Room. Despite 20 objections the Hastings District Council approved it, so it became a matter for the Environment Court, with Parsons working alongside DOC landscape historian Elizabeth Pischief to provide evidence. He claims Robertson’s Auckland archaeologist overlooked important details. After being denied access to the land he trespassed and was surprised at how much evidence he found of early Māori occupation. This was Parsons’ first taste of how experts paid for by developers can present real challenges to the environment. His research helped overturn the application and Robertson backed off and reworked his plans. In 2006, he provided evidence opposing the Titiokura-Te Waka Wind Farm project in the Maungahururu Range above Te Pohue, on another ‘outstanding landscape’. Hastings District Council and Hawke’s Bay Regional Council initially granted consent for 15 turbines before the Environment Court declined second and revised stages for up to 34 turbines. The working group then consulted with local Māori who talked about the cultural values. Parsons says he’s had to develop “another dimension” of himself to deal with decisions made when a mayor or group of councillors decide to change the district plan based on what’s good for business rather than what’s good for the region overall. Most recently he believes the fourth revision of his letter to HB Today (13 Jan) over the pros and cons of the zigzag walking track above Craggy Range has helped inform the debate. He believes there’s “a wind change” under new mayor Sandra Hazlehurst and was subsequently invited to host a bus tour of councillors around the important landscapes to provide an independent view. Parsons refers again to the Isthmus report, saying it should be required reading for every new councillor to ensure that knowledge is not forgotten. He and tramping mate, Hastings physiotherapist Grant Dixon, often head off on field trips exploring locations where tribal history occurred. In the planning is a trek into the foothills of the Ruahine’s near Tikokino to find where prominent Hawke’s Bay ancestor Whatu-i-Apiti died. And with his focus turning increasingly to the arcane, there’s the possibility of a book on East Coast Māori mythology – “that’s where I breathe now”, including his deep knowledge on the whare wānanga (learning schools) of Waimarama. He’d also like to present his research that makes a clear distinction between the mythical Māui and the more recent ancestor ‘Māui the navigator’, having traced his ancestry through whakapapa. 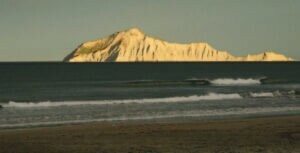 Parsons asserts the Māui of mythology was an actual person with a much longer genealogy, but the navigator Māui was “the Captain Cook of his time”; and either he or those who followed in his footsteps stamped his name on much of New Zealand, including Hawke’s Bay landmarks like Te Matau a Māui (Māui’s hook). Parsons continues to feel the weight of the knowledge he carries, and is concerned about who will come after him to pick up the wero (challenge) of being caretaker of our often neglected formative history. He’s hopeful a couple of new students will stay the course and pick up the mantle. Parsons’ legacy is substantial, but there’s still so much more he would like to complete, including having a public archive established so he and others can pass treasured historical documents into the right hands.